Crossahead a Noida based tech startup launched its new interactive app a few months back with the initiative to connect genuine artists to the users. To know more the Crossahead app read the article thoroughly. The app from has Crossahead proved to be a boon for the consumers just a few months after its release, as it provides an added advantage for the target audience who can buy and receive services, master different creative arts or browse through the latest feeds through it. Whereas professional artists can remain in reach of the willing consumers and sell their services in an easier and more enhanced manner. This app has been spit up into three basic divisions named as the services, the feeds and the skill sets. Skill set is the category from where the consumers can either shortlist an artist or send inquiries to the required artist by registering through Facebook. From the feeds section the customers as well as the artists get an opportunity to create stories on various topics or showcase their work which can be hyped or sent to people through whatsapp and other texting options. 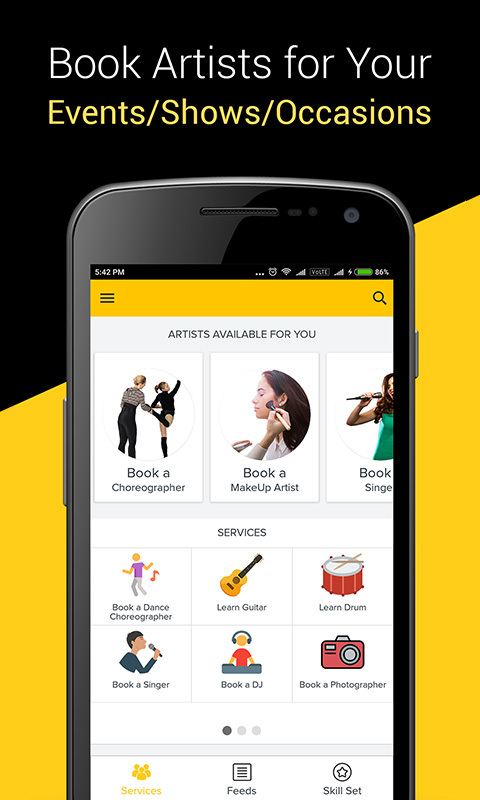 The services category helps consumers make bookings and hire the best artists as per their choice. Users get to avail services from the best choreographers, makeup artists, singers, tattoo artists, photographers, interior designers etc at the tip of their fingers. Every professional creative gets the chance to list themselves and create a profile by providing their work details, address details, personal details and further fulfilling the required steps. It encourages only genuine professional artists to register and upon registration takes each profile through the process of approval and verification so that consumers get access to solely the real artists. Each profile comprises of a portfolio depicting the work of these artists through photos and videos, thus the Crossahead app already has more than 10,000 registered professionals along with a huge consumer base which is surging in number with every passing day. 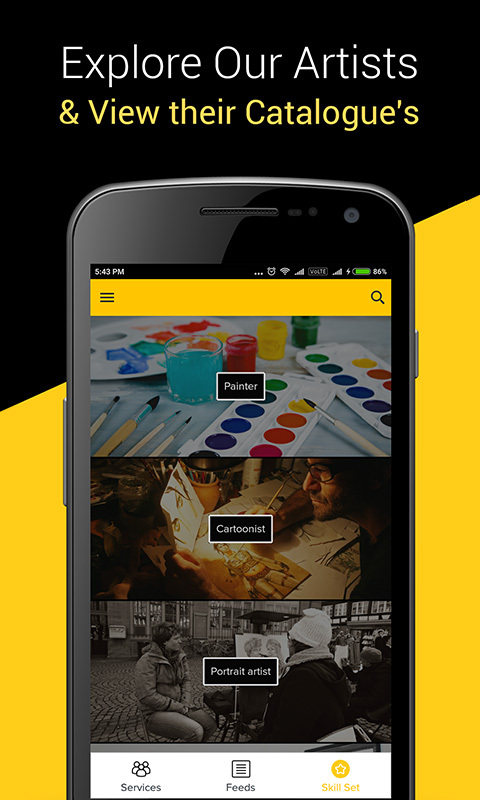 Crossahead app was brought into action with the intention of bridging the huge gap which prevails in between the artists, the creatives and the common people whether it be the problem of artists with all the talent not receiving due recognition amidst the masses or the trouble and hassle people face while looking for professional artists to help them for their creative requirements. It further targets to keep growing its network of booming consumers and artists in the near future by providing an increased number of subcategories and a host of other user friendly options.